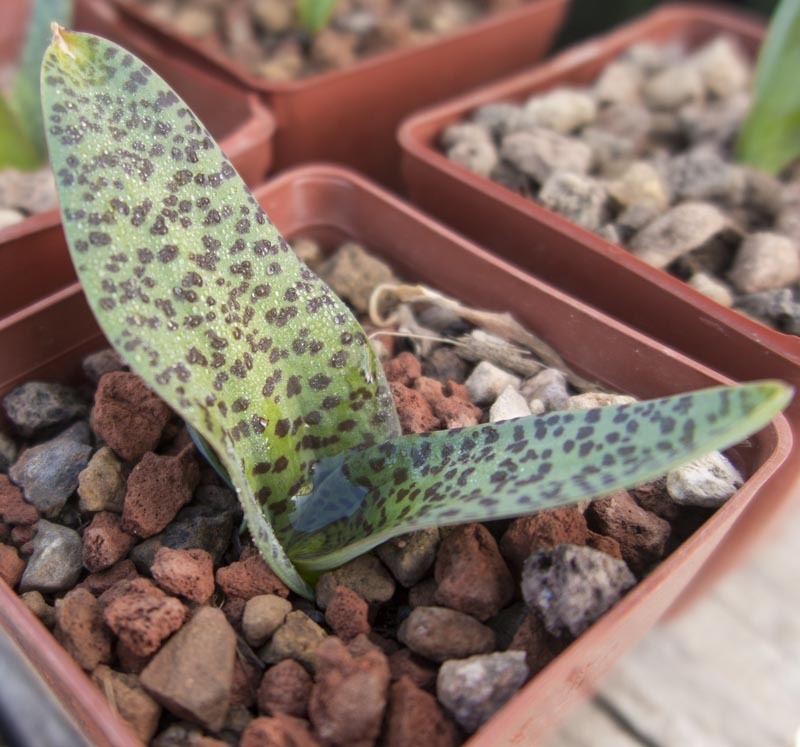 Small bulb with spotted oval leaves and aloe-like flowers. Large bloom sprays with dozens of stunning turquoise flowers as it matures. Winter grower, dormant in summer. Protect from freezes.